Leaky gut is becoming extremely common, even in children these days. The last few generations have been building up many deficiencies, toxicities, and imbalances which can be passed on to children unfortunately. So, many kids need just as much help with healing the gut as adults do. For the most part, they can do most of what adults can. But let’s outline the basics of gut healing for kids. You can check out my post on healing leaky gut for adults here! Stomach acid is absolutely crucial for digesting food and utilizing nutrients. Common symptoms of low stomach acid include belching after eating, constipation, undigested food in stools, and food allergies. Since obviously most kids would run away if you tried to give them a glass of diluted apple cider vinegar, there are a few other ways to help with balancing stomach acid that are a bit more palatable. *Switchel is my top choice for kids as there are so many ways to make it so you can find what your child likes best. I always reference this article from Wellness Mama for those that are very new to Switchel because she outlines all of the main variations on the recipe. *Cranberry “Pink Lemonade” is my other favorite choice for kids to help out a bit with stomach acid support and well as some lymph and liver support. I usually make a quart at a time: ¼ cup of cranberry juice (unsweetened) and the juice of 1-2 lemons (depending on their size) and fill up with water, and add a sweetener of your choice to taste (organic maple syrup or raw honey both work well). The amount per day for both the Switchel and Pink lemonade will depend on the age and size of your child, but usually a cup a day is fine. Leaky gut tends to include issues like inflammation in the gut lining. Some need to address this first before adding in stomach acid support, but most kids do well with focusing on both at once. Collagen and Gelatin: Collagen is super easy to add to smoothies, drinks, or even things like applesauce and rice to help your child some gut healing amino acids. Gelatin is great for making delicious gummy treats, which obviously most kids enjoy! Aloe Vera: George’s Aloe has a recommendation for kids 1+ on their label. Aloe is very soothing to the digestive tract, and helps immensely with soothing internal inflammation, as well as liver and colon healing. 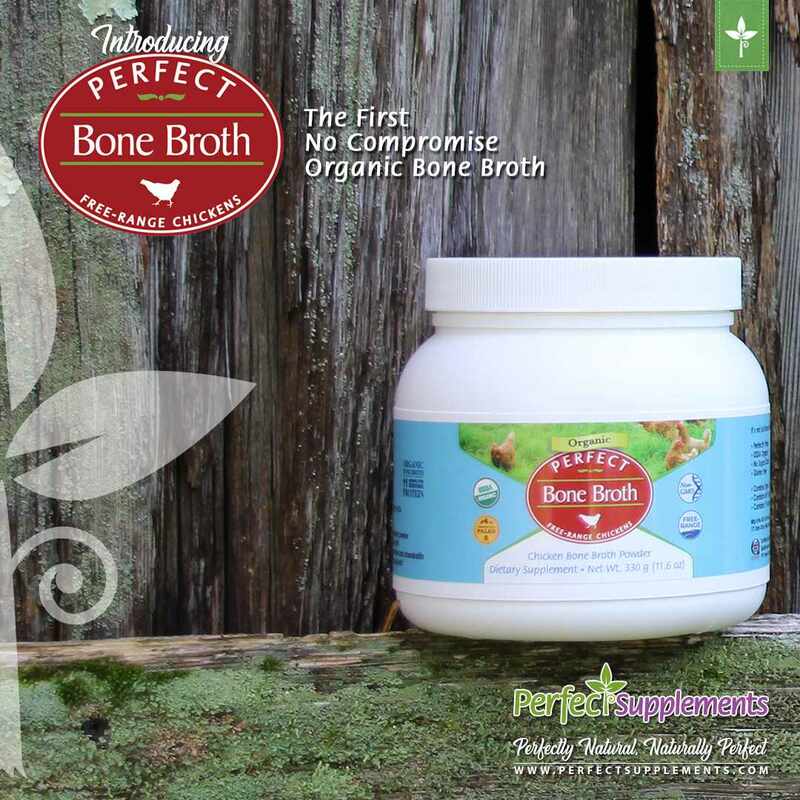 Bone Broth: This might be a bit hard to get kids to have just as a drink like most of us would but using it in soups and stews helps just as much. Gut bacteria is crucial for many reasons: creating certain vitamins, keeping harmful pathogens under control, and plays a role in keeping many illnesses at bay, especially colon cancer. This is why probiotics are essential to overall healing. One dose of antibiotics can alter your gut flora forever, and many of us have been put on antibiotics nearly every year of our childhood. Unfortunately, this is an issue we can pass along to our children so it is imperative to address this issue at a young age. You can go with supplements or fermented foods like sauerkraut, kombucha, kefir, kimchi, or pickles. For most people, supplements are the easier option but fermented foods offer a lot more effectiveness and they are much cheaper. Some are very sensitive to fermented foods at first as their gut gets replenished too so probiotic supplements might be a bit milder. My favorite choices for probiotics for kids include Garden of life and Renew Life. BioRay also has their FOCUS and SHINE tinctures (which I talk about below) that help with replenishing gut bacteria. Check out my post on easy fermented food ideas here! The liver also plays a role in digestion: we need healthy livers to utilize fats correctly and to absorb many nutrients, especially the fat soluble ones like A, D, and E. My favorite liver support for kids include the BioRay tictures. They is a whole line of BioRay kids products, which you can read all about here. The best BioRay tinctures for liver and gut healing are CALM, SHINE and FOCUS. Kids can even use the BioRay Liver Life, just in smaller doses (as instructed on the bottle!). The kids formulas are just flavored, which helps a bit more with compliance from picky kids. Now you can find their AMAZING BioRay Kids line on Perfect Supplements, and save 10% with my code SASSY at checkout. In addition to the tips above, mineral balancing is also crucial for gut healing. Many minerals are essential for creating stomach acid, controlling pathogens, and creating digestive enzymes. Our biggest goal is aid in gut healing and start introducing nutrient dense foods to help the body utilize nutrients better.